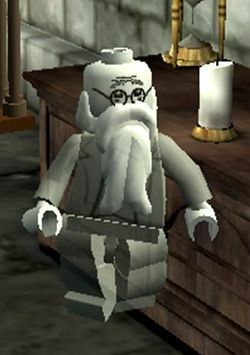 Profesor Binns is a LEGO minifigure from the Harry Potter theme who appears in LEGO Harry Potter: Years 1-4 and LEGO Harry Potter: Years 5-7. 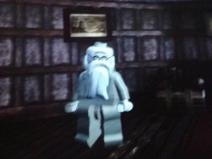 Professor Binns is a ghost character, meaning that he is coloured completely transparent white, and cannot lose hearts. Binns also has a beard like that of Professor Dumbledore. Professor Cuthbert Binns was the History of Magic teacher for several years at Hogwarts. One day, Binns went to sleep in front of a fire in the staff room, and died. However, Binns continued to carry on with his lessons, apparently not seeming to notice that he had died. History of Magic was widely considered to be the most boring subject at Hogwarts. This page was last edited on 9 January 2016, at 23:52.